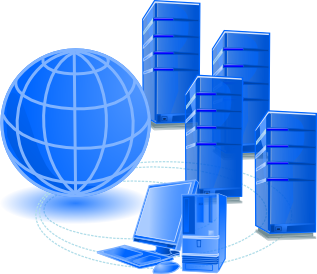 We deliver a wide range of server solutions and related services. In short, we can nearly any kind of server system you may need, we can also take care of the operation of your systems, or assist on a consultancy basis. However, we can also offer standard configurations for other services. We also offer monitoring of standard services like HTTP, DNS, Generic TCP/UDP, SSL,.. with reporting via Email, SMS,.. Click here to read more. We offer a wide variety of services. We can offer hosted Backup, hosted Servers, general Administration and Configuration and Monitoring of your services. If there are any other service you may need, we can probably help. If you have any questions or wish additional information, Contact us and we will promptly get back to you.